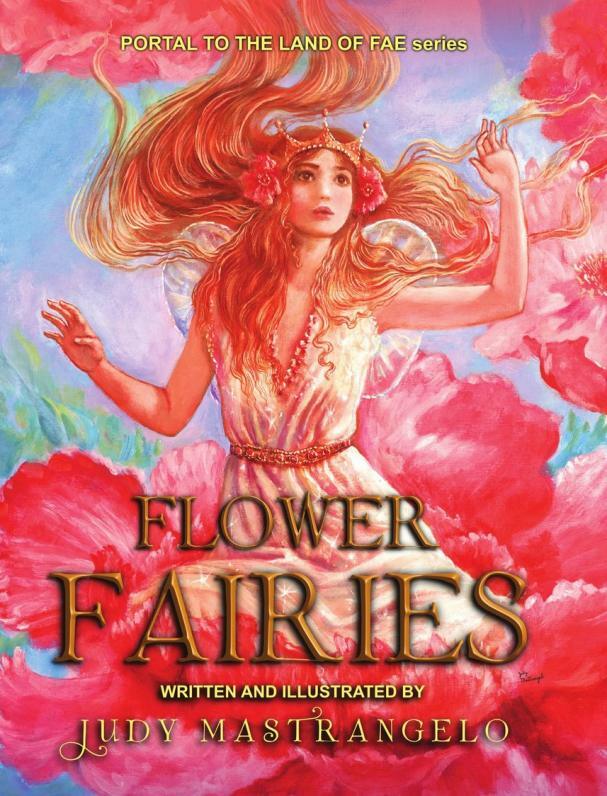 Judy Mastrangelo releases "Flower Fairies" with Imagination Books. The first in a brand new series from an acclaimed artist. Brand New From Judy Mastrangelo. KING OF PRUSSIA, Pa. - Jan. 29, 2019 - PRLog -- Judy Mastrangelo has both written, illustrated, and designed a delightful series of four books about Elves and Fairies. This series is entitled: "PORTAL TO THE LAND OF FAE." Be sure and collect the entire four book set. The first of these books to be published is her "FLOWER FAIRIES." Judy Mastrangelo is a world renowned artist and author, especially known for her depictions of the Fairy Realm. Her paintings follow in the fine art tradition of the "Artists of the Golden Age of Illustration." This "FLOWER FAIRIES" book tells about the precious elves and fairies who live amongst the flowers. Some examples are the graceful "ROSE FAIRY," and the comical little "SWEET PEA ELVES." Her beautifully intricate and colorful paintings are accompanied by delightful poetic descriptions of each flower spirit. Judy's "PORTAL TO THE LAND OF FAE" books are sure to delight those of all ages who enjoy these amazing and whimsical beings. Judy loves to create paintings that deal with themes of fairies and elves. She has often seen them in her imagination, and feels that beautiful flowers seem to have spirits with distinct personalities and magical attributes. She often depicts flower fairies to appear as graceful ballet dancers. In this genre of art, Judy has especially been inspired by the flower fairy paintings of the early 20th century British artists Cicely Mary Barker and Margaret Tarrant. Judy's book "FLOWER FAIRIES" begins with her poem and painting "PARADE OF FLOWERS." This depicts adorable elves and fairies marching in a Flower Parade throughout the seasons. In this book you will meet many tiny spring, summer, autumn and winter flower elf and fairy spirits. Some of them are pretty little girl flower fairies, such as the "CHERRY BLOSSOM" and "WISTERIA" fairies. The "COLUMBINE ELF" is very mischievous, and the "DANDELION ELF" makes wishes on his magic dandelion seed wand. There are also lady flower fairies, such as the lovely "DOGWOOD TREE FAIRY," who sits lightly on her tree blossoms, and the beautiful "WATERLILY FAIRY," who floats dreamily on her soft green lily pad at twilight. The "BLUEBELL FAIRY" is very shy. You will be very delighted if you ever discover her playing lovely music in the Misty Wood. "What a beautiful little book. The paintings alone are more than worth the cost. I love the poems also. It's a lovely gift for a child or an adult, or for yourself." Judy hopes you will enjoy her delightful "FLOWER FAIRIES" book.